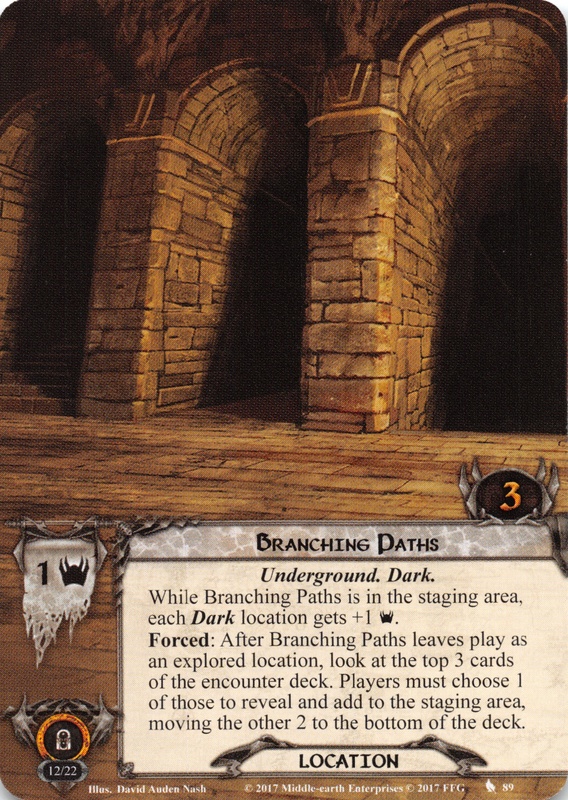 While Branching Paths is in the staging area, each Dark location gets +1 . Forced: After Branching Paths leaves play as an explored location, look at the top 3 cards of the encounter deck. Players must choose 1 of those to reveal and add to the staging area, moving the other 2 to the bottom of the deck.